The New Year provides the motivation many people need to move home. This means that the busiest months for Rightmove searches are January through to March, when a huge 26% more visitors use the site compared with October through to December. So now's the ideal time to get in touch with us to discuss letting your property. 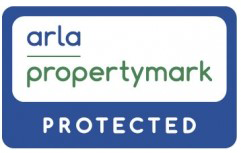 We can arrange a free appraisal and start preparing quality marketing so that we hit the ground running as soon as 2018 arrives, ensuring we don’t miss out on any quality tenant leads.